England is a perfect base for travel and exploration. My family love history. 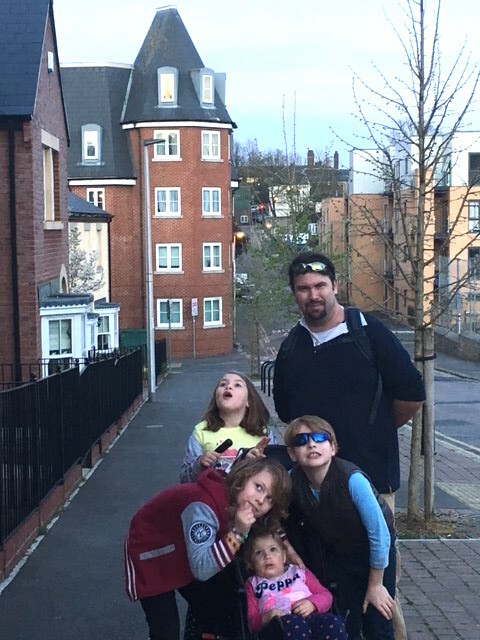 We thought that having a job and base in England would allow us to explore and travel the UK and Europe in the school holidays, providing a rich and life changing experience for our family. Also if we should return to Australia then my experience in an English school should put me in a good position when applying for Australian jobs. So when I heard teachers were in high demand in the UK and that school principals were coming out to Australia to interview for positions I sat and spoke with my husband about what an opportunity it would be. By the end of the evening we were both pretty excited at the possibility and both agreed it would be an amazing adventure if nothing else. However, we have four children (aged 10, 8, 6 and 2) so we had to run it by them before we made our final decision. Fortunately, the kids thought it sounded like a great idea! I contacted Teach In and they completed some preliminary paperwork to establish my eligibility, and some minimal application information, then organised an interview. Due to my age I am not entitled to a youth and mobility visa so I needed a school to sponsor me thus giving me a sponsorship visa. This was why meeting the school Principal here in Australia would be helpful, he was more likely to be interested in sponsoring me once I had impressed him face-to-face! I also needed a passport (which I did not have yet), due to the expense I thought I would wait to see if I got the job. I went to the interview at Teach In’s offices in Melbourne and the information session afterward, most of the other people at the session were on youth and mobility visas and already had temp jobs lined up and were heading over reasonably soon. Anyway a day or two later I got an email saying I had the job!! I had spoken with Teach In staff about the cost involved and if my husband would be able to work as this was a big financial decision. I was pointed in the direction of the UK visa website, which we found really hard to find conclusive information. Teach In and Supply Desk (their UK counterpart) were helpful where they could be, it was definitely the first time they’d helped move a family of this size!We ideally wanted to have a furnished residence organised to move straight in to, but the few real estate agents we spoke to said we had to have a bank account and be in the country to do so. Also I could not open a bank account without being in the country. Aargh! Getting my passport was a bit of a challenge because I had issues with my birth certificate and identifying documentation so it took longer than normal. Most people wouldn’t have these issues though! I found it hard to get any clarification about my husband’s employment restrictions or what the process really entailed. The gov.uk website seemed to send me round in circles and if I tried to call I had to have my credit card ready as they charged over a pound per minute!! We had so many questions. It turns out a Tier 2 Migrant Partner can work! Phew! Further, in order to apply for a visa you need to have a minimum amount of money (per person) in the bank for 90 days leading up to the applications. If you are sponsored by an “A Rated” sponsor they can confirm in the sponsorship application they will cover you for a month waiving the need for the money in the bank. Once the sponsor school has a copy of your passport they start the sponsorship application. You will need to provide some personal details. Once the application is submitted to the Home Office by the sponsor school they are provided a hearing date (once a month) and that day is when your sponsorship is actually reviewed by the Government and approved. Up until now Teach In had handled everything, but at this point I was put in direct contact with the school. When you receive confirmation of your sponsorship you can apply for your visas online using the sponsorship number in the application. These cost approximately AUD$1700 each (£587 for visa & £200 per year of visa period [X 3 or X 5 years] for IHS) when I applied in January 2017 with the exchange rate of 1.7 and a 3 year visa. I applied for my visa and waited for approval before applying for everyone else because if I didn’t get mine no-one else would have been approved anyway! In hindsight the application seemed to be more a formality. It is advised that it will take 3 weeks but ours took 1 week/8 days. Once visas are approved you need to advise the agency and the school, book flights and organise a start date. That’s when the enormity of moving your whole family to other side of the planet hits you! Something to consider is what you want to bring, we brought a suitcase of clothes and personal items each, nothing more. We left everything else in storage back in Australia and rented out our house. We enquired about shipping things over and most companies wanted a cubic meter estimate and it would take approx. 12 weeks. But googled the cost of things and decided to start over rather than send stuff over, furniture and homewares are generally cheaper in England that Australia! I have a child under 5. 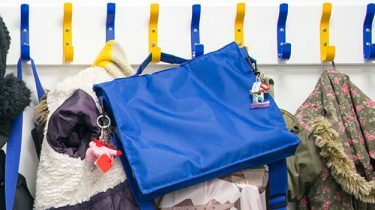 School is free to all children from Reception (prep equivalent), nursery is the same Kindergarten and Pre-Kinder (from age 3) is only held in the morning, so childcare needed to be arranged at a childcare centre for the afternoon. There was a cost involved, but it was cheaper than Melbourne child care fees. Obviously we needed somewhere to stay when we arrived. Hotels don’t come cheap when you are a family of six! We organised a B&B through Gumtree, saving on booking fees, but still an expensive way to go. AirBNB is another option. When looking for long term rentals we discovered that some real estates do let you rent a premises from Australia. However, there are fees for applying, each adult tenant has to pay for a credit check and a then there is processing fee and some require a deposit that will come off the first month’s rent. Approx £3-400 per application and each real estate uses a different credit referencing company so you need to pay for them each time you apply. Public transport is really good here so we have not needed a car. We live within walking distance to the school, also just about anything and everything can be delivered, the delivery fees on furniture, groceries are very reasonable. We didn’t end up with a furnished place but one of the real estate agents had a maintenance guy who had second hand, reasonably priced washing machines, fridges and freezers. We were able to get furniture (drawers, vacuum, TV stand etc.) from the charity shops (new and second hand stuff). Beds, bedding and kitchen stuff were reasonably cheap from online department stores. We sourced most of our stuff from Wilko and George by ASDA. When you arrive and have a permanent address, you need to register with a GP. Go to your local medical centre and fill in the forms. If you have children, be sure to bring their immunisation records both for this and for school enrolment. Also to get a bank account you will need a utility bill or something similar in your name with your permanent address, your visa and passport. Opening a bank account is like applying for a loan, you need to make an appointment and go through a whole application process, allow at least half an hour. The school I work for (in Medway, Kent) has been really supportive and the staff are welcoming and kind. Because I came in mid-year, mid-term and didn’t know what year I would be teaching until a week before, I had to hit the ground running (so to speak). Luckily I had a really efficient teacher in the other class for the year level who had all the planning done for the term and gave me the weeks planning on Monday mornings so I felt a bit like a CRT (relief/ supply teacher) at first. This was pretty handy, as it was all going so fast and I was learning the policies and procedures on the job, also my kids and husband and I were still settling into the house. I am on term break at the moment and am able to catch my breath and plan my learning experiences and prepare thoroughly so am looking forward to my career as a teacher in the UK. 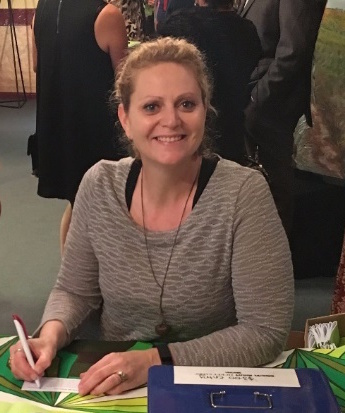 Julianne MacDonald accepted a sponsored teaching positions with The Greenacre Trust, Medway, UK, after interviewing with one of Teach In’s partner school Principals. We look forward to bringing you more adventures from Jules and her family!